WMDF and the Mogu Mogu Festival are brought to you by "Worlds Meet Japan". We are non-profit, and run by volunteers. Any proceeds of our event go to our work on transformational social and educational projects locally and internationally. Hinoki-ya, formed in Hakodate 1998, specialise in Japanese music with a world influence. Their performances feature Shinobue flute, Taiko, guitar, and percussion. 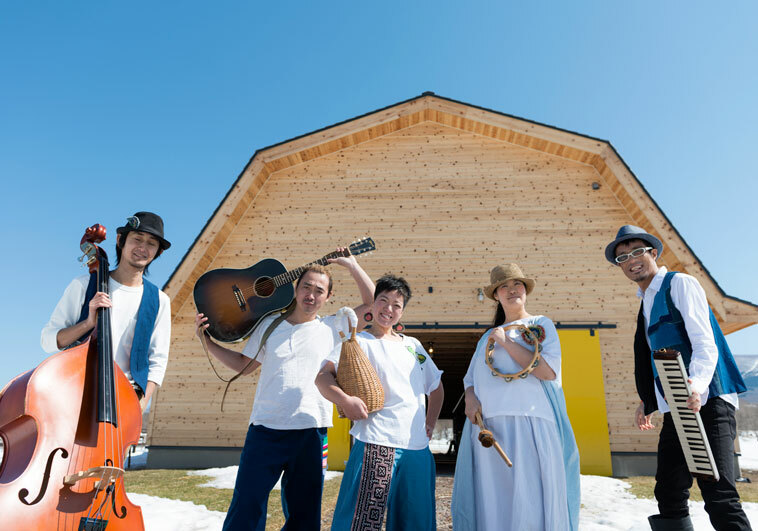 Hinoki-ya have participated at several international festivals, energising audiences with their rhythm and energy. They put their festival experience to good use in producing WMDF! Their most recent album is “Coffee beans and Koinobori” and they also recently oversaw the production of a book: “Platanus no Ki”. Worlds Meet Japan General Incorporated Association is officially registered with the Japanese government as a non-profit. Any proceeds of our events go towards transformational social and educational projects locally and internationally. Copyright © 2012-2019 "Worlds Meet Japan" General Incorporated Association, All Right Reserved.